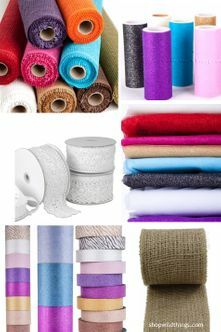 Create fabulous party, wedding, event and home Decorations using the ShopWildThings collection of Fabric, Mesh, Ribbon and Tulle! 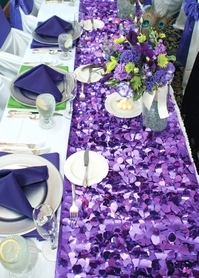 We offer beautiful Sparkle Tulle for creating adorable No-Sew Table Skirts and more! Place some of our LED String lights under them and you'll have created a table to remember in no time flat! 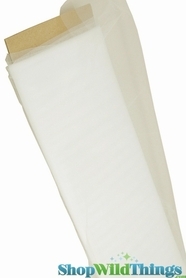 Our Tulle Bolts are perfect for larger projects and for covering large spaces. We have Pure White and Off-White for Weddings and more. We also offer many colors to create special party themes on arches as well as ceiling drapery for an inexpensive way to Decorate the air space. 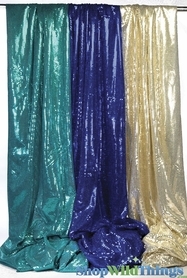 Our Decorative Mesh is available in flat colors as well as in Metallics! 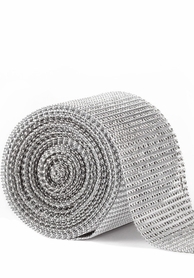 This material is divine for creating your Mesh Deco Wreaths, and the many sizes of Decorative Mesh Ribbon can be wound into your Christmas and Event trees! Our Jute Fabric Rolls, Lace Ribbons and Burlap Fabric Bolts are wonderful for creating beautiful Rustic and Romantic Projects and Tabletops. 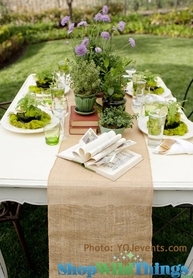 In addition to Jute Fabrics, we have Jute and Burlap Table Runners and Table Toppers! 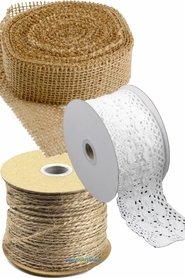 Our huge selection of Burlap Mesh Rolls are perfect for creating table tops in any color. Just trim them with scissors to create table toppers, or use them for making any craft project. Our large rolls are very affordable!